Well, no sooner had I started the blog when I came across this. 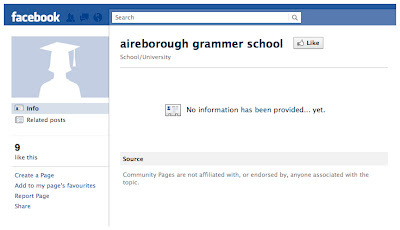 I don't know who created the Page, but presumably he or she attended the school which closed down in May 1991. I see that 9 people 'like this'. I wonder whether they like the Page or just the irony. Do you think it reveals any clues as to why the school closed?